Hello and welcome back to another update of Forgotten Hope 2. We've gone without news for a while now since the release, but today we have a large update to make up for it. Let's begin by introducing the three new developers who have joined Forgotten Hope the last few weeks. First, we have Gunnie, who will be working as a coder. Next we have Fenring, who will be mapping. And last but not least we have Remdul, who will be helping us with pretty much everything. Now then, on to the actual update. We're proud to present the next theater of war Forgotten Hope 2 will be visiting. There was quite some discussion about which stage of the war to go to next - on the public forums as well as on the developer forums, but we've finally agreed on our next theater and we hope you are as excited about it as we are. 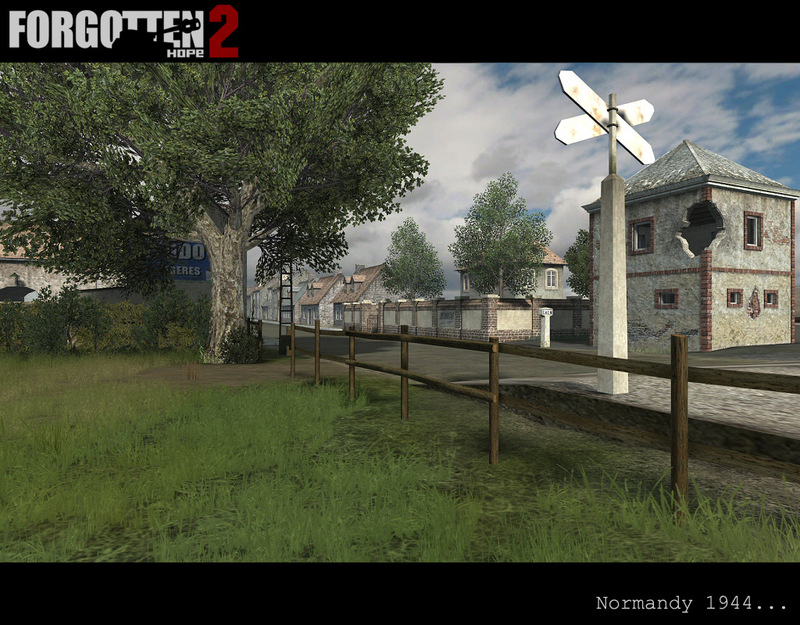 So, without further ado, the next theater of war for Forgotten Hope 2 is Normandy 1944. With the invasion of Normandy on June 6th 1944 the allies opened up the much needed second front on the German war machine. Within two weeks, over half a million allied soldiers were put ashore in France, paving the way towards the defeat of the Third Reich and a free Europe. You can expect to see many of the famous battles for Normandy in Forgotten Hope 2, but also some of the lesser known, though certainly equally interesting battles. By going for France, we hope to appeal to our fans who can't really get into the desert combat of our first release. The green hedges and fields of Normandy are in complete contrast with the arid wastelands of the desert and there is no doubt the maps will have a totally different feel to them. 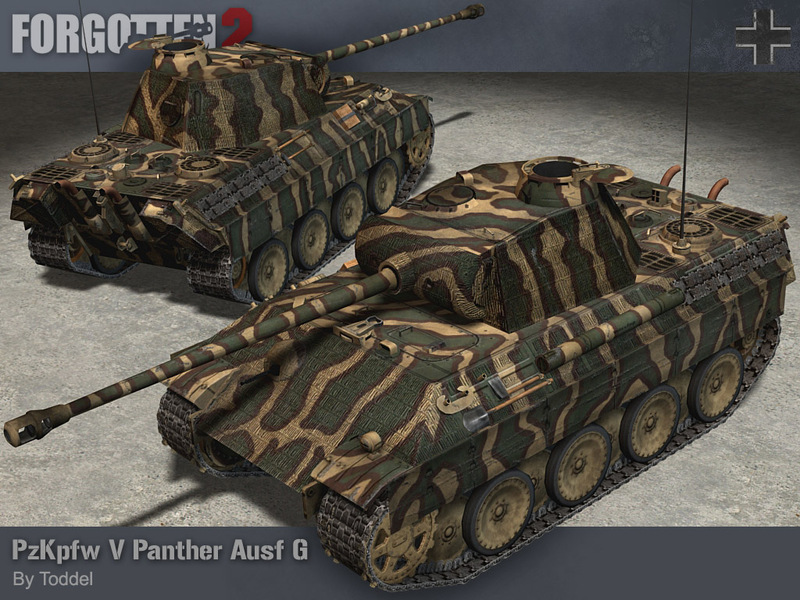 Of course, no update would be complete without screenshots or renders, so here we have the first vehicle done for the Normandy campaign; the Panzerkampfwagen V 'Panther' by Toddel and Knoffhoff. The fearsome Panther tank was Germany's answer to the Soviet T-34. Featuring thick, sloped armour and an impressive 75mm high-velocity gun this tank was more than a match for anything the allies could throw at it. 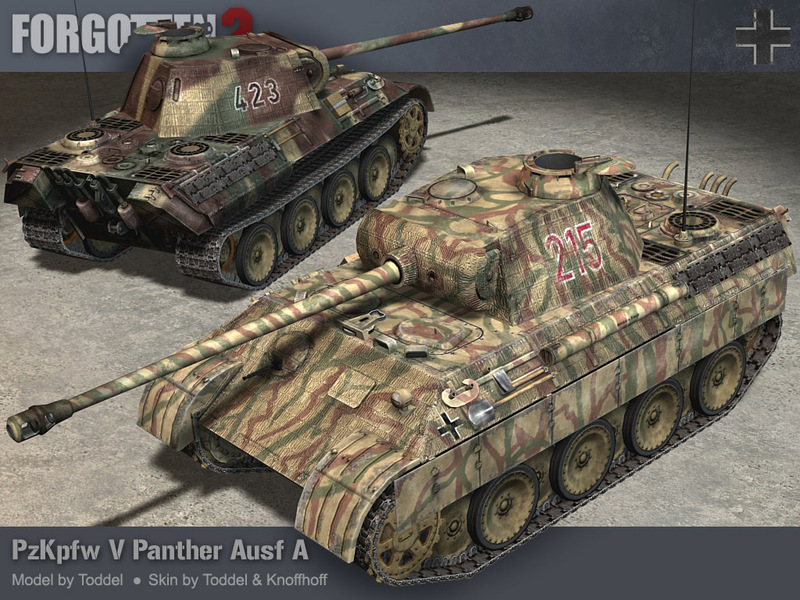 The most common variant of the Panther in Normandy was the Ausf�hrung A, but many of the newer Ausf�hrung G were also present. In total, about 650 Panthers were used in Normandy, 400 of which were lost there. For the second part of this update we've got some news from the African front. Although we're hard at work with our next theater, we will continue to add to (and improve) our first release. For our first patch to Forgotten Hope 2 we've got a lot of bugfixes ready, but we'll also add more vehicles, more weapons and more maps. Though I can tell you we have at least 2 maps planned for the first patch, I'll leave the details of those for a future update. We do have some renders ready for you of some of the vehicles that you'll see in the patch. The first vehicle we'd like to show off is the Panzerkampfwagen IV Ausf. D, by Omni. Compared to the Panzer IV Ausf. F1 (already in Forgotten Hope 2), the Ausf. D has much thinner armour. 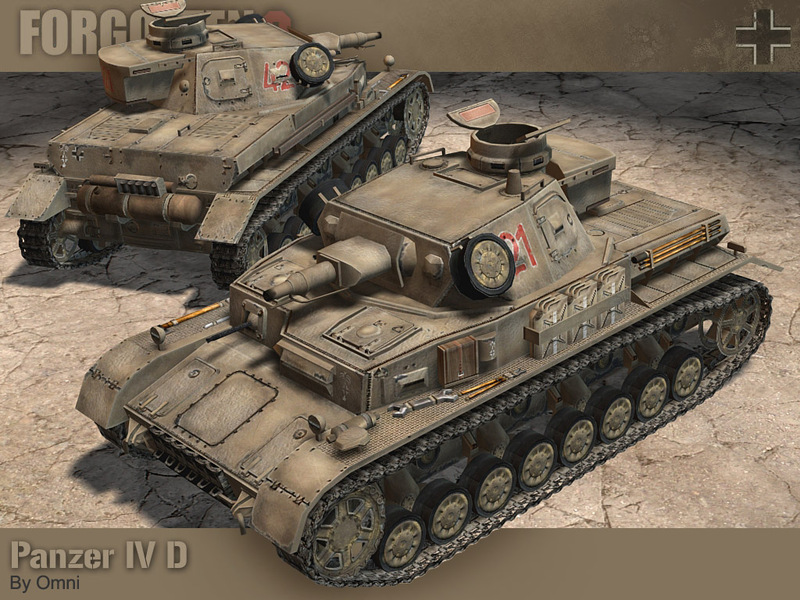 Historically, the first Panzer IV F1s arrived in Africa with the 15th Panzer Division in May 1941 - so you'll be sure to see the Panzer IV Ausf. D on maps taking place before that, such as Lobo's Siege of Tobruk. The Ausf. D was also extensively used in the Blitzkrieg campaigns of 1940, so once we get there you can expect to see it there as well. Finally we have one more vehicle to show you and this one will feature in both the patch and the next theater; the Sd.Kfz. 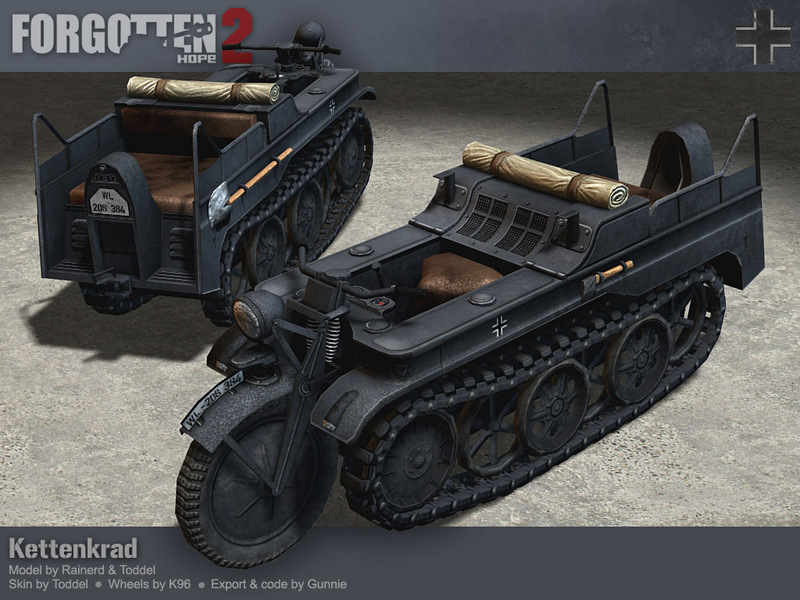 2 'Kettenkrad' by Toddel, Rainderd, K96 and Gunnie. 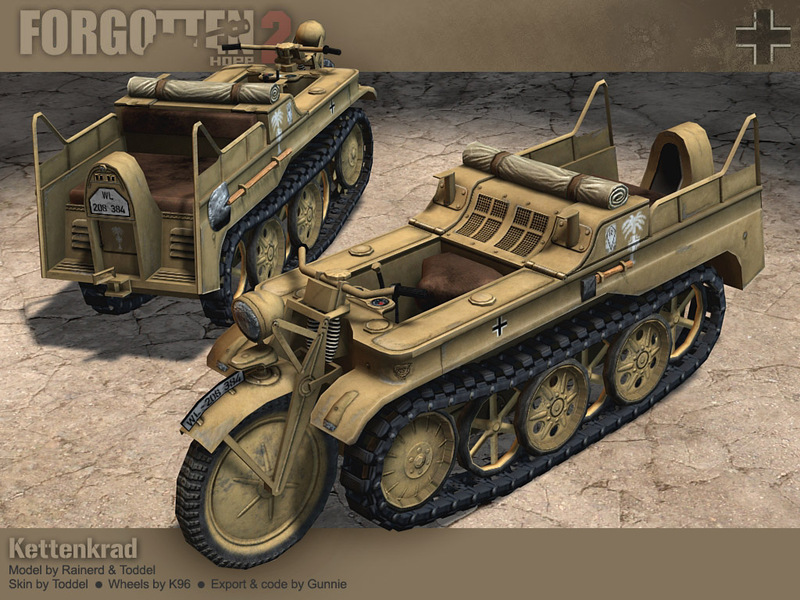 The Kettenkrad was originally designed as a small gun tractor for airborne troops, being small enough to fit inside a Junkers Ju 52, but it proved a very versatile vehicle and was used in many roles, like reconnaissance and towing aircraft. A total of 8300 of these vehicles were produced during the war. 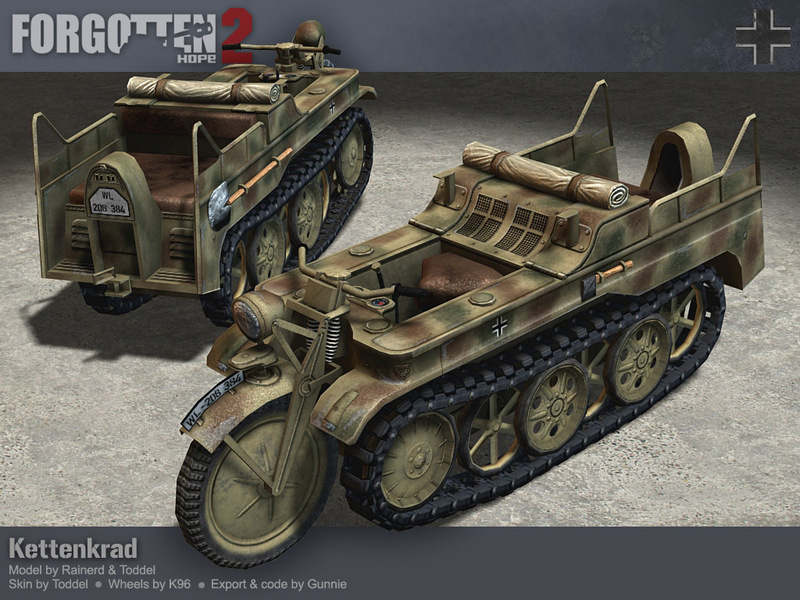 As you can see by the different skins, the Kettenkrad was used on every front. You'll see the sand yellow version in Africa, the camouflaged version on the late Western and Eastern fronts and the grey version in the Blitzkrieg campaigns, the early Eastern front and of course, Crete. That's all for this week, but be sure to come back next week for another update. Until then, feel free to visit our IRC channel and our public forums to discuss this update and other news.